If your child is using phonograms to learn to read and spell, then this reading game is perfect for you. 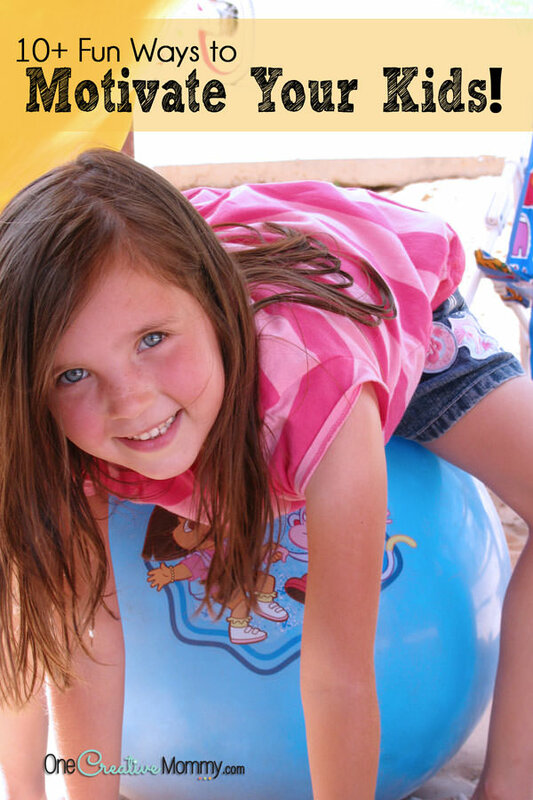 Flash cards can be boring, so jazz up your practice with a fun game instead! 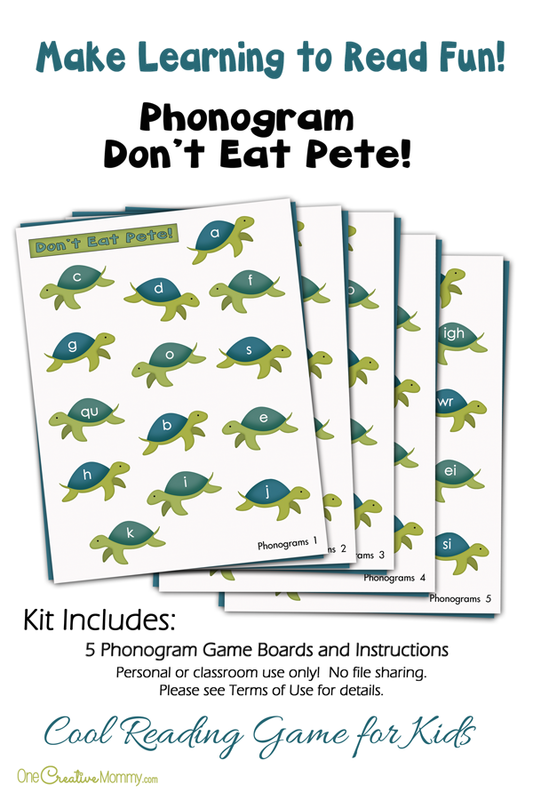 Phonogram Don’t Eat Pete is a much more entertaining way to practice. For those of you who are not familiar with phonograms, they are the basic building blocks of the English language. Many schools use them (along with spelling rules) to teach reading and spelling. Some phonograms have only one possible sound, and others represent more than one sound. If you’d like to hear the correct sounds for each phonogram, visit this website. The phonograms are listed, and you can click on each phonogram to hear the sound or sounds for that phonogram. If there is a clue that goes with the phonogram, that pops up, too. 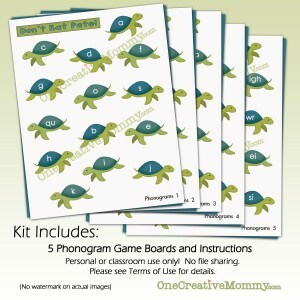 In school, most classes practice phonograms daily by using flashcards. BORING! 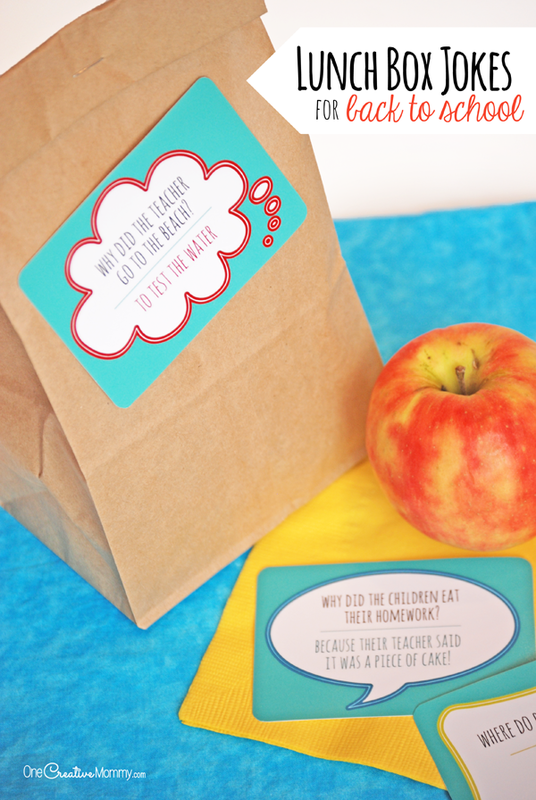 Kids can review at home with this fun reading game instead! Below is a sample of how the game is played. My games used to cost $2.50, but now they are free for everyone! Click the download box below to open the pdf and download your free reading game. 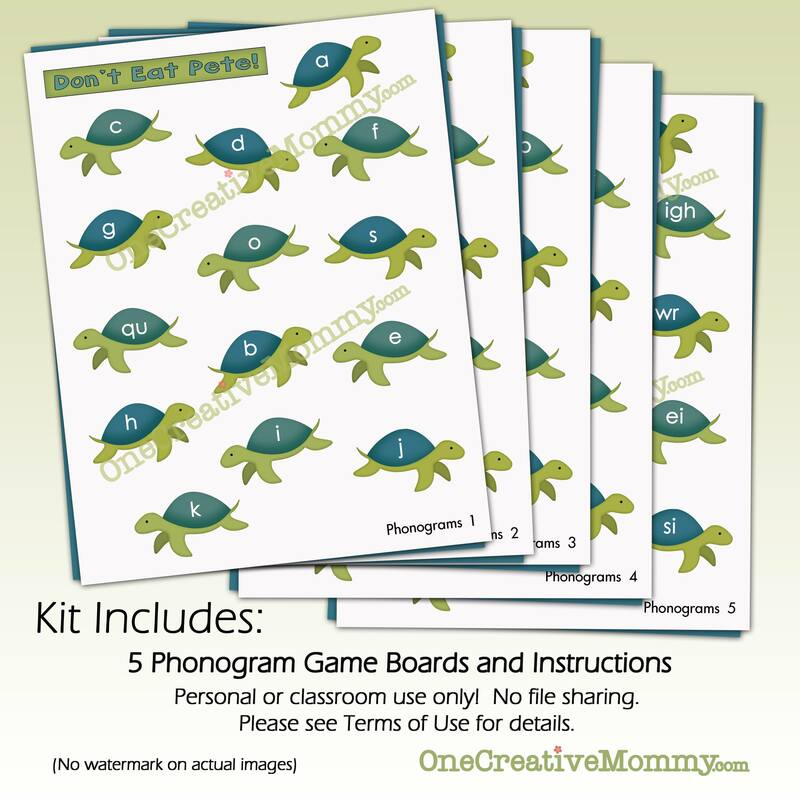 This kit includes five phonogram game boards and instructions. Thanks for stopping by today. 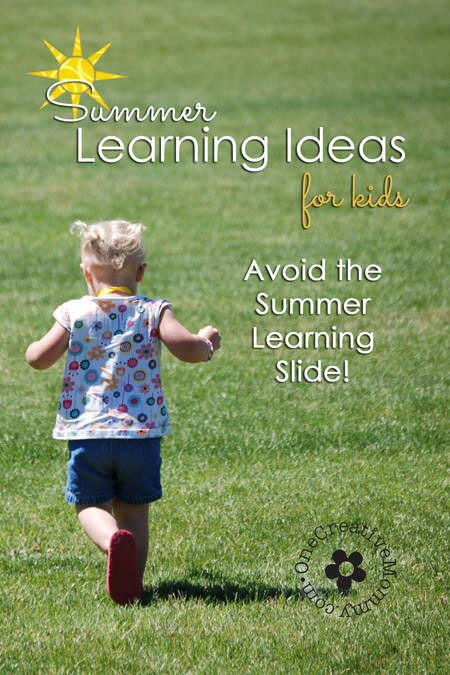 You’ll find all of my learning games here, and you can click on the images below to visit more great posts!